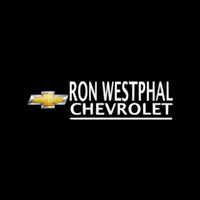 At Ron Westphal Chevrolet, we offer competitive financing rates and have a huge selection of Chevy Cruze vehicle available in our inventory. We are located in Aurora near Naperville, IL and are of the top Chevrolet Dealers in Chicagoland. Whether you’re zipping around city streets or navigating winding roads, the new 2018 Chevy Cruze Sedan or our first-ever Cruze Hatchback is the perfect choice in a new vehicle. With a unique combination of technology and efficiency, including advanced safety features, this excellent vehicle helps you get where you’re going in style and sophistication. Check out the superb features below! Please contact us at Ron Westphal Chevrolet for all your Chevy Cruze Naperville questions by using the button below or calling 630-898-9630.